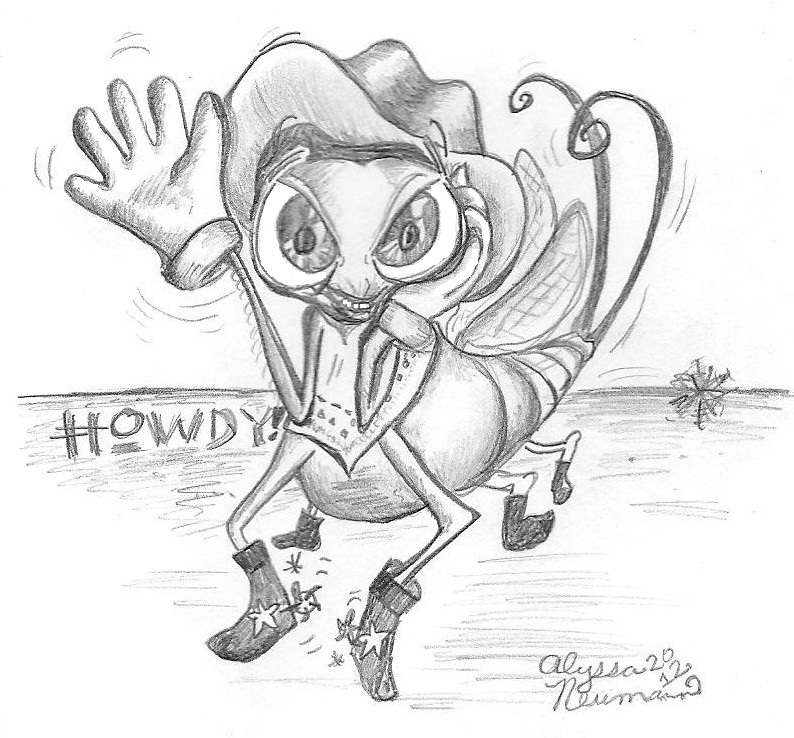 And we welcome you with a white-gloved "HOWDY!" This is a site made by biology students from the University of Wisconsin - La Crosse, devoted to the mayfly species Isonychia bicolor. For another excellent source on water-dwelling bugs, visit the Aquatic Insect Encyclopedia. Many have posed, pondered, and attempted to prepare an answer for this question, but producing a sufficient response to something so deep and so vague is never an easy pursuit. However, this is the case for every mayfly who has walked, crawled, swum, and flown the planet. You may have heard this fact and perhaps felt sorrowful (or if you identify as insect phobic, you might be saying "thank goodness! "), that this particular clade (i.e., systematic grouping) of insects is indeed granted but a single day to be born, progress through its life stages, reproduce and eventually pass away into the waters from which it came. While the truth about mayflies is at first seemingly sad, this interesting bunch serves a significant purpose in the lives of several neighboring species and in the environment throughout its maturation. Knowing about these functions and processes may help illuminate the beauty of nature so clearly pronounced in these short-lived creatures. Created under the supervision of Dr. Roger Haro, an entomologist and professor in the Coulee region of Wisconsin, this website was designed to provide insight on the habitat, classification, interactions, life cycle, and overall ecological role of this particular species of mayfly and its brief yet important existence here on Earth. In addition to its scientific name, Isonychia bicolor ("eye-so-nick-ee-uh bye-color"), this species also has a few nicknames. "White-Gloved Howdy" - Perhaps the most common alternate name used for the species, this refers to the stance in which the critter holds up its light-colored tarsi (i.e., the segmented outer portion of insect legs) during periods of rest (Neuswanger 2012). This peculiar behavior can be seen in the photo at the top of this page, and it only occurs in the adult form of the animal. 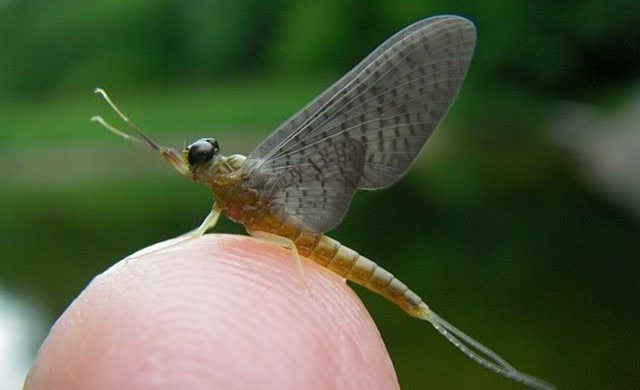 Since the first true larval stage through which this insect passes is called a "dun" in popular fisherman jargon, "Mahogany Dun" is another common name, but it is used in reference to a whole handful of mayfly species (DeWalt et al. 2010). "Large Mahogany Dun" is the specific version of this nickname, reserved for Isonychia bicolor, which tends to take on a greater size than many related mayfly species. "Mahogany," of course, denotes one of the prominent colors on the insect body (Neuswanger 2012). They receive the nickname "Leadwing" based on the organisms' tendency to initially sink due to their heavy bodies upon molting (its transition from one life phase to the next). This struggle actually proves useful from the perspective of the food chain--their wild, thrashing attempts to swim can help attract predatory fish (Neuswanger 2012)! "Slate Drake," is used to describe members of the family Isonychiidae. This is derived from the larval form, sometimes known as "drake," and their "slate" gray hue (Neuswanger 2012). Other, less-common nicknames, or slang terms only used in reference to the mayfly's broader classifications, include: "Great Red Spinner," "Maroon Drake," "Mahogany Drake," "Dark Red Quill," "Leadwing Coachman," and "Great Lead-winged Coachman" (Neuswanger 2012). For additional relevant, taxonomical (naming) information regarding Isonychia bicolor and its various informal names, see this page by graduate mayfly researcher Jason Neuswanger. For the complete taxonomy and distinguishing features of Isonychia bicolor, visit the Classification page. For a summary of life stages and reproduction, feel free to explore the Reproduction and Life Cycle page. If you are interested in how Isonychia bicolor interacts with and contributes to its environment, visit the Ecological Role page. This will include a variety of topics, such as: habitat, feeding habits, nutrition, interactions with other species, and the practical and commercial uses of this insect. To find out additional "fun facts" about this species, take a look at the Miscellaneous Facts page.